Technology collaboration aims to take driver monitoring systems to the next level by linking them to autonomous intervention to improve safety. Swedish autmotive active and passive safety technology specialist, Autoliv has entered into a collaboration agreement with Seeing Machines, a computer vision based human sensing technology specialist, to develop next generation driver monitoring systems (DMS) for autonomous vehicles. According to the National Highway Traffic Safety Administration, in the United States 3,477 people were killed and 391,000 were injured in motor vehicle crashes involving distracted drivers in 2015 alone. The American Automobile Association also states that 21% of crashes in which a person was killed involved a drowsy driver. 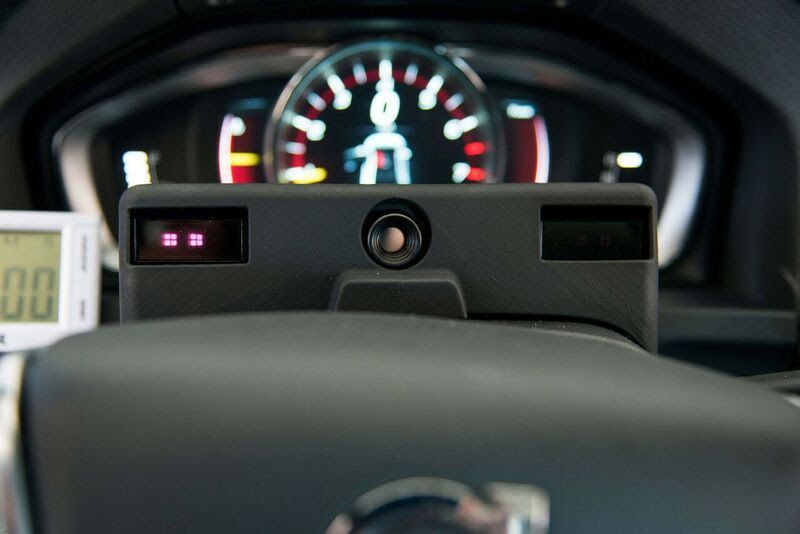 Autoliv and Seeing Machines have started to collaborate to address this issue by developing a state-of-the-art DMS that can detect distracted and drowsy drivers by accurately measuring eye and head position, driver attention and fatigue. The DMS will invoke action when a dangerous situation is detected or imminent. Driver monitoring systems are nothing new to the automotive industry, but this new partnership is the first to link the technology to autonomous control. So far, DMS have largely been used either in telematic insurance applications or as fleet management tools for improving driver safety and as training aids. Typically, DMS monitor vehicle parameters such as throttle position, speed, lateral loads and braking forces to gauge driver behaviour. Other monitoring systems are less parametric and are more related to implied effects. Examples are the relationship between eye flicker and concentration or steering input and drowsiness. Such systems have so far gone as far as alerting the driver when drowsiness or lack of concentration is detected. They have fallen short of performing direct interventive action. This is where the collaboration between Autoliv and Seeing Machines could advance the technology significantly. “The collaboration between Seeing Machines and Autoliv is an excellent fit within our expanding network of partners” added Mike McAuliffe, CEO of Seeing Machines. “Both companies are deeply committed to advancing safer driving through the development and deployment of our advanced DMS technologies for Automotive OEMs”.